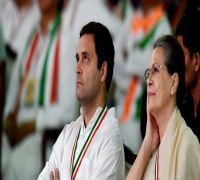 Lok Sabha Elections 2019: The Rahul Gandhi-led Congress is likely to contest between 420 to 430 Lok Sabha seats leaving the remaining seats for its alliance partners. In pics: Congress president Rahul Gandhi, RJD leader Tejashwi Yadav, DMK president MK Stalin, NCP leader Sharad Pawar and Karnataka Chief Minister and JDS leader HD Kumaraswamy. Lok Sabha Elections 2019: The elections for the 17th Lok Sabha will take place in seven phases from April 11 to May 19. The result will be declared on May 23. The Lok Sabha has 543 elected members and 91 constituencies will go for polls in the first phase on April 11. Voters in 97 seats will use their franchise in the second phase on April 18 whereas the third phase will be held on April 23 on 115 constituencies. The fourth phase will be held on April 29 (71 seats), fifth phase on May 6 (51 seats), sixth phase on May 12 (59 seats) and seventh phase on May 19 (59 seats). 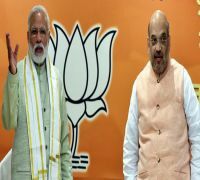 The elections are likely to be a very close contest between the Bharatiya Janata Party (BJP)-led National Democratic Alliance (NDA) and the Congress-led United Progressive Alliance (UPA). The Rahul Gandhi-led Congress is likely to contest between 420 to 430 Lok Sabha seats leaving the remaining seats for its alliance partners. The party has already announced 407 candidates till now and is likely to announce the other candidates soon. Several parties are contesting under the umbrella of UPA this election. The Dravida Munnetra Kazhagam (DMK) in Tamil Nadu is contesting on 20 seats and the Rashtriya Janata Dal (RJD) has also fielded candidates on 20 constituencies (19 seats in Bihar and 1 seat in Jharkhand). The Nationalist Congress Party (NCP) is contesting on 19 seats in Maharashtra. The Jharkhand Mukti Morcha (JMM) and the Jharkhand Vikas Morcha (JVM) will contest in 4 and 2 seats respectively in Jharkhand. The JMM will contest in 1 seat in Odisha also in an alliance with the Congress. 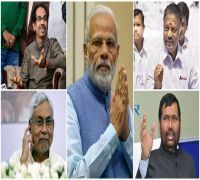 In Bihar, the Rashtriya Lok Samata Party (RLSP), the Hindustani Awam Morcha (HAM), the Vikassheel Insaan Party (VIP) and the Communist Party of India (Marxist–Leninist) will contest on 5, 3, 3 and 1 seats respectively. The other UPA partners are Janata Dal Secular (JDS: 7 seats in Karnataka), Jan Adhikar Party (JAP: 5 seats in Uttar Pradesh), Communist Party of India (CPI: 2 seats in Tamil Nadu and 1 seat in Odisha), Indian Union Muslim League (IUML: 2 seats in Kerala and 1 seat in Tamil Nadu), Apna Dal (Krishna Patel) 2 seats in Uttar Pradesh, Viduthalai Chiruthaigal Katchi (VCK: 2 seats in Tamil Nadu), Communist Party of India Marxist (CPM: 2 seats in Tamil Nadu and 1 seat in Odisha), Swabhimani Paksha (2 seats in Maharashtra), Kerala Congress Mani (KCM: 1 seat in Kerala), Yuva Swabhiman Party (YSP: 1 seat in Maharashtra), Bahujan Vikas Aaghadi (BVA: 1 seat in Maharashtra), Marumalarchi Dravida Munnetra Kazhagam (MDMK: 1 seat in Tamil Nadu), Indhiya Jananayaga Katchi (IJK: 1 seat in Tamil Nadu), Kongunadu Makkal Desia Katchi (KMDK: 1 seat in Tamil Nadu) and Revolutionary Socialist Party (RSP: 1 seat in Kerala). Meanwhile, the party has also decided to back National Conference in Srinagar and in return will get its backing for Jammu and Udhampur seats. The party along with Zoram People's Movement (ZPM) will support Independent candidate Lalnghinglova Hmar in Mizoram. The Grand Old Party has also decided to leave 6 seats (Muzaffarnagar, Baghpat, Mainpuri, Firozabad, Kannauj and Azamgarh) for SP-BSP-RLD grand alliance in Uttar Pradesh.